Vanadium is not in an unbound state in nature. It occurs in about 65 minerals of which vanadite (Nb5 (VO) 3 Cl) and carnotite (K2 (UO2) 2VO4 * 1 - 3H2O) and bauxite are most common. From vanadinite and carnotite it is obtained by heating the minerals with stamped iron in the presence of chlorine and carbon, so that vanadium trichloride arises. The vanadium trichloride is then heated with magensium in an argon atmosphere. 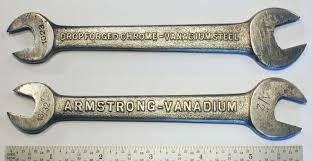 Vanadium is corrosion resistant and is used in alloys for cutting tools and car parts. A thin layer of vanadium is used to connect titanium to steel. The melting point is 1,890°C, the boiling point 3,380°C.